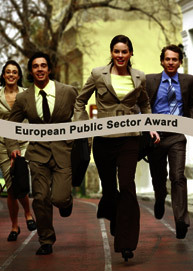 The EPSA brings together the best, most innovative and efficient performers from the European public sector. Outstanding administrative performances are, after all, produced under different conditions within Europe. By highlighting exemplary models of innovative public performance, the award will serve as a catalyst for continued progress in addressing Europe's most pressing concerns whilst providing a platform for the public sector innovators behind these cases to disseminate their achievements. The EPSA's objective is to make these valuable experiences transparent, known to the public and usable. And the EPSA 2009 Award Winners are...! brass; the size of one trophy is approx. © EPSA 2009 and B.J. Leyendeckers. 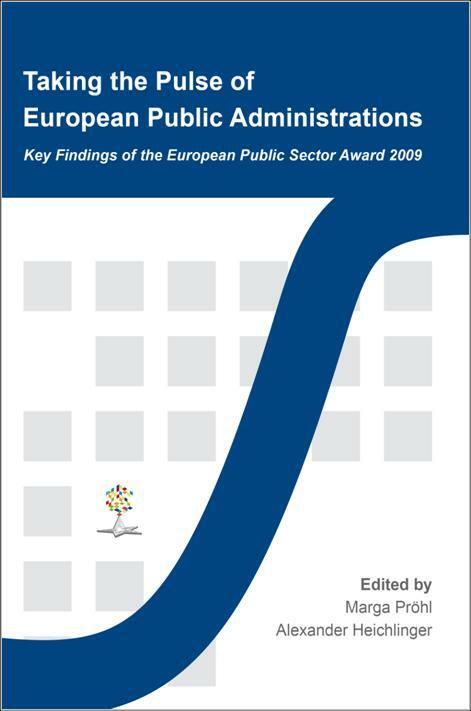 During a spectacular event on the night of the 5th November in Maastricht, the European Institute of Public Administration (EIPA) presented the European Public Sector Award 2009! This prestigious award recognises the best and most innovative performers in European public administration. After a long process of assessment, the four prize winners were finally announced. THEME I: e-Bourgogne (France), Regional Platform for e-Services for All. This is a time- and money-saving online system that facilitates enterprises accessing public markets. This innovative project which has shown to save time and money for business society won the first prize in the theme for Performance Improvement in Public Service Delivery. THEME II: The Cologne Participatory Budget (Germany) received the first prize in the theme of Citizen Involvement. This project created the opportunity for citizens to participate in designing the municipal budget, focusing on three areas - playgrounds, streets and sports - by setting up an e-Platform. Through using this new method, a new culture of participation was created based on transparency and the ability to actively involve huge and different target groups in the region. THEME III: The winner in the third theme of New Forms of Partnership Working, is the Oldham Local Strategic Partnership (United Kingdom). This project aims to build a partnership between statutory bodies, third sector agencies and the private sector with the long-term objective of reviving the declining local economy, raising the level of local aspirations and addressing underlying ethnic tensions, which goes well beyond their statutory obligation to cooperate. THEME IV: In the fourth theme, Leadership and Management for Change, the winner is the Management in the San Cugat City Hall project (Spain). The traditional expenses culture of this municipality was changed into a cost culture by introducing contracts between politicians and top public managers (PACTE). This project led to both the politicians and public managers thinking in the same direction and having the same values, therefore making better policies. In addition, two projects received honourable mention, namely the Gdynia Civic Sector project from Poland (THEME II) and the Present in School, Absent in Jail project from Romania (THEME III). All 300 applications have undergone a multi-step evaluation process. Each application was first individually assessed by a minimum of three independent and impartial evaluators. The online evaluation was then followed by a consensus meeting which was held in May at EIPA's headquarters in Maastricht (NL), convening 25 evaluators from all over Europe to agree on a common ranking per theme. 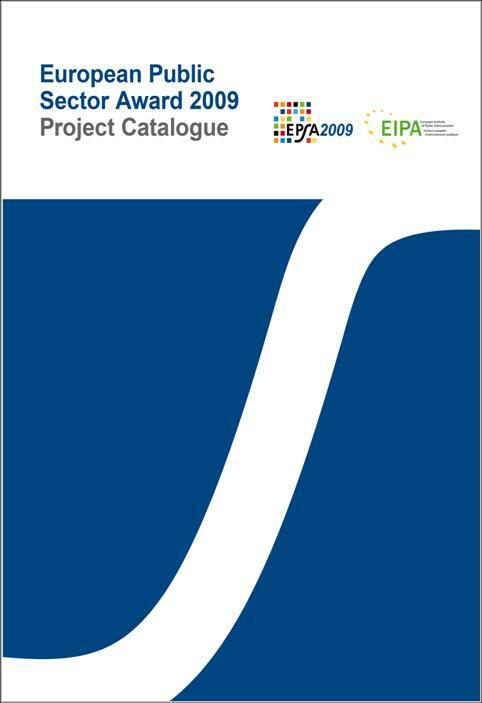 As a subsequent step, 28 short-listed projects across all themes received onsite visits for validation purposes by EPSA/EIPA representatives. They finally reported their findings at the EPSA Jury meeting for the final decision making. Based on this information the Jury decided on the 20 award nominees. You will find the list of the 20 award nominees and 40 additional best practice certificate recipients by clicking here. European Public Sector Awards 2009 - Highlights from EUXTV on Vimeo.